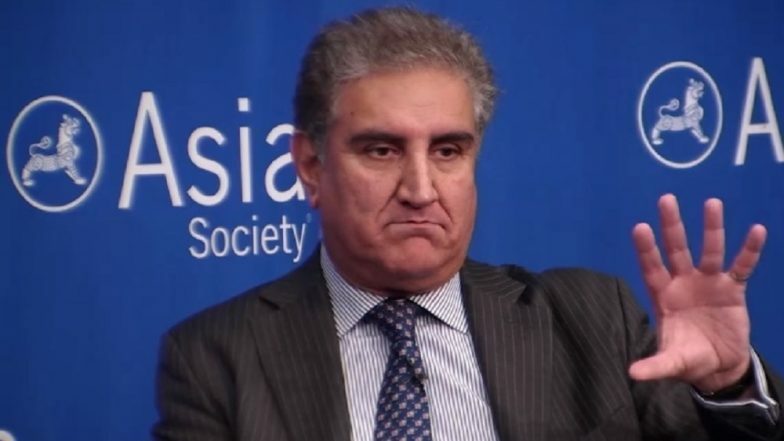 Islamabad, March 22: Pakistan is studying the verdict on the 2007 Samjhauta train blast case by an Indian court and the acquittal of all the four accused and weighing its options, Foreign Minister Shah Mehmood Qureshi has said. The Samjhauta Express is a bi-weekly train that runs between Delhi and Attari in India and Lahore in Pakistan. The blast on the train took place near Panipat in Haryana on February 18, 2007, when it was on its way to Attari in Amritsar, the last station on the Indian side. The blast killed 68 people. Pakistan says 44 of its nationals lost their lives. The blast ripped apart two coaches of the train. The train service was launched in July 1976 after the signing of the historic Shimla Agreement between the two countries. A special court in Panchkula in Haryana acquitted the main accused Swami Aseemanand and three others in the case on Wednesday. Before giving the verdict, the judge dismissed the plea filed by a Pakistani woman for examining some eyewitnesses from her country. Samjhauta Blast Case: Swami Aseemanand, 3 Others Acquitted by NIA Court. "The decision by India's National Investigation Court has shaken the people. The four accused were acquitted after 11 years, including Swami Aseemanand, who had already confessed his crime," Qureshi said. "Pakistan strongly protested on this development and gave a demarche to India," he told the media in Islamabad on Thursday on his return from an official visit to China. Samjhauta Blast Case: Indian High Commissioner Rejects Pakistan’s Assertions on Assemanand’s Acquittal, Says 'Take Action on JeM Terrorists First'. He said Pakistan was studying the Samjhuta train verdict and weighing its options. In New Delhi, official sources said the Indian High Commissioner in Islamabad Ajay Bisaria clearly conveyed to the Pakistani Foreign Office that the trial into the Samjhauta Express terror case was carried out in a "transparent" manner. The sources said the Indian envoy highlighted that the due process of law was followed by the Indian courts and judicial system in a transparent manner. He also pointed out the lack of cooperation from Pakistan, including in serving court summons to Pakistani witnesses in the case, the sources said, adding the summons were returned by Pakistan Foreign Office (FO). On Wednesday, the Pakistan FO said the acquittal of the accused, 11 years after the "heinous" Samjhauta terror attacks "makes a travesty of justice and exposes the sham credibility of the Indian courts". Pakistan called upon India to explore judicial remedies to ensure that the perpetrators are brought to justice, according to the FO.